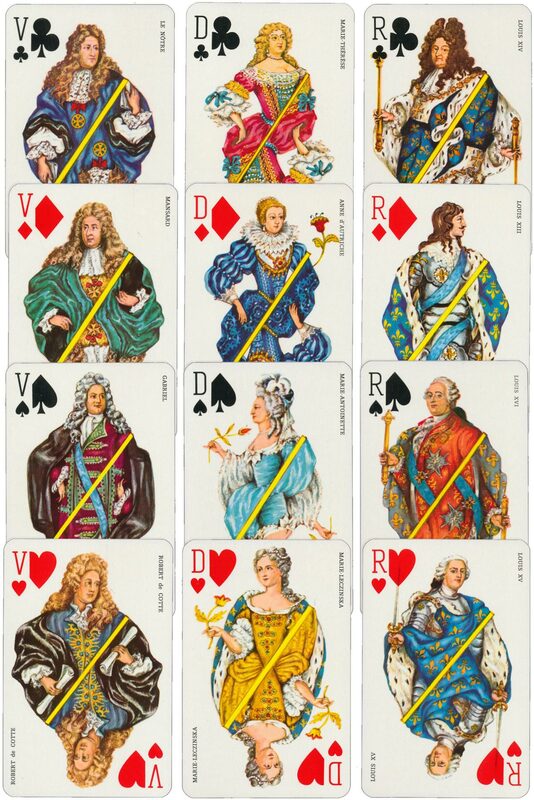 Above: Versailles Playing Cards created by Matéjà and printed by B. P. Grimaud, c.1970. 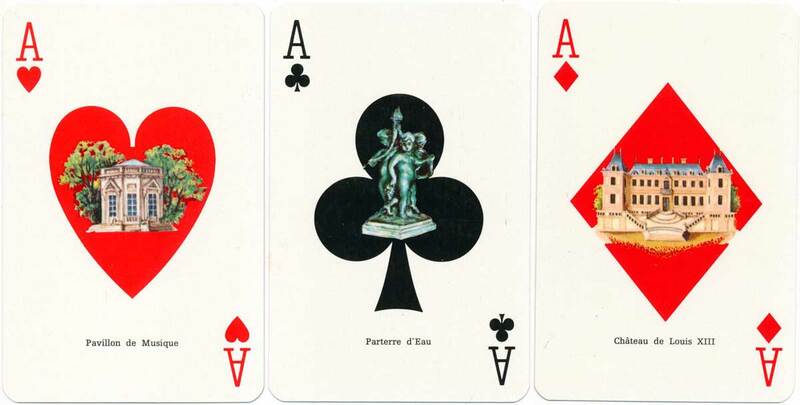 The joker is Pierre l'Angely, Louis XIII's fool. Images courtesy Matt Probert.